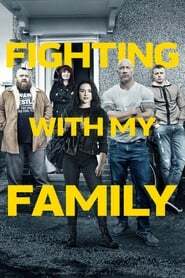 Fighting with My Family is a 2019 Comedy Drama movie directed by . It stars Florence Pugh, Lena Headey, Nick Frost, among others. Fighting with My Family is currently rated 6.3 stars on the ReelBugs scale. "A comedy about a family that fights a little differently." The Rock and Stone Cold made the WWF/WWE what it is today. Without them the WWE would have faded from existence and would have been dismantled just like the WCW. Big slap for Bum Austin.